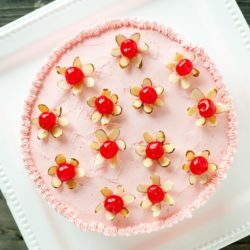 Light, airy from-scratch maraschino cherry cakes with pink almond and cherry flavored buttercream. 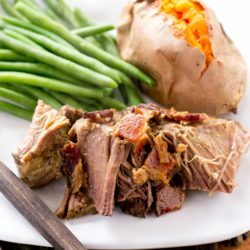 Let the slow cooker do all the work for this paleo Garlic Bacon Pot Roast. Just 4 ingredients make this a deliciously savory, healthy comfort meal. 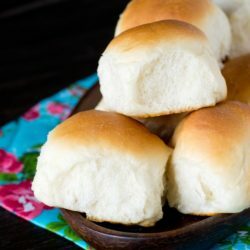 Just 5 ingredients, ready in under 30 minutes, no baking needed. 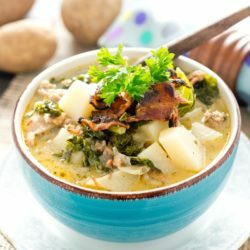 Paleo Zuppa Toscana is a rich soup filled with potatoes, kale, Italian sausage and bacon. 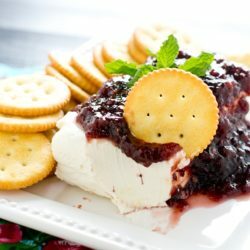 Your slow cooker makes this dairy free recipe easy to make. 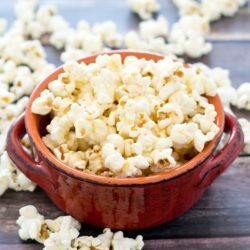 Butter and honey give this honeyscotch popcorn snack the salty and sweet flavor that everyone loves. 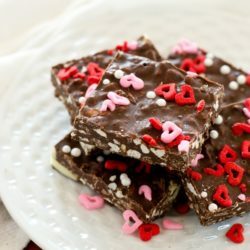 These simple Triple Chocolate Crunch Bars are full of white, milk and dark chocolates. Pecans and crisped rice give them a nice crunch! Tender, flaky pie crust covering comforting chicken and veggies. 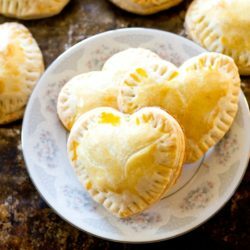 Serve these kid-friendly Sweetheart Chicken Hand Pies to your loves this Valentine’s Day! 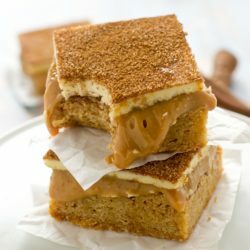 Soft, cinnamon blondies covered in smooth dulce de leche and topped with sweet white chocolate. 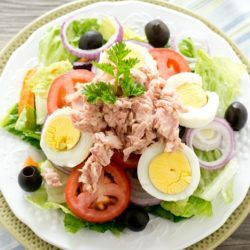 Paleo Tuna Salad is packed with protein, vegetables, olives and drizzled with a homemade dressing. 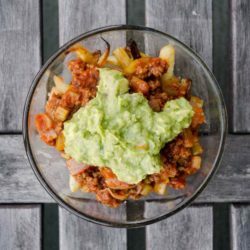 Kid-friendly, chili topped parsnip fries is a great paleo meal that will curb that comfort food craving! This isn’t your every day boxed pudding mix. 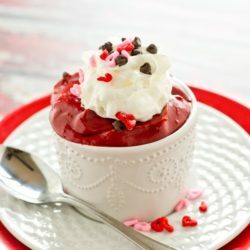 Rich, smooth, homemade red velvet pudding is a new twist on traditional dessert. 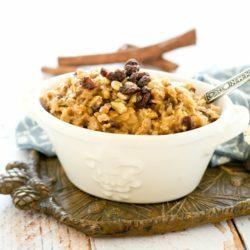 Thick, hearty, cooked rolled oats, raisins and nuts fill this lightly sweetened lumberjack oatmeal. 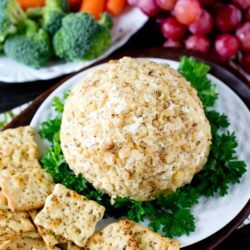 5 minute appetizer that is full of garlic and Italian cheese flavors. 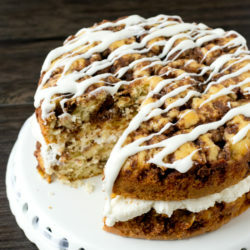 Classic Yogurt Streusel Coffee Cake is the perfect make-ahead dessert to serve alongside a cup of coffee. 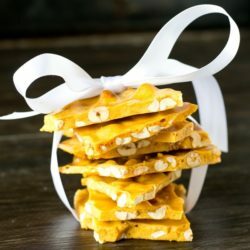 Hear our secrets for making this brittle light, crisp, and airy. You’ll love it! 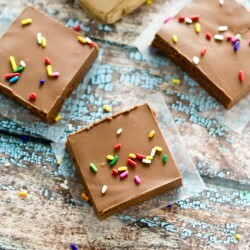 Two ingredients and two-minute prep give you the perfect salty and sweet treat! 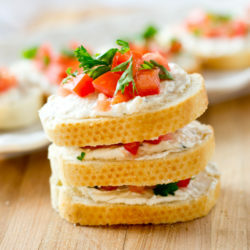 These mini Italian tomato sandwiches with fresh parsley make a great appetizer or lunch. 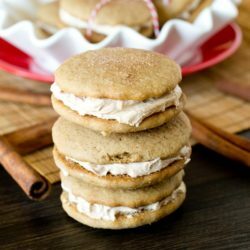 You’ll fall in love with these soft, cinnamon cookies with a melt-in-your-mouth cinnamon buttercream stuffed inside. 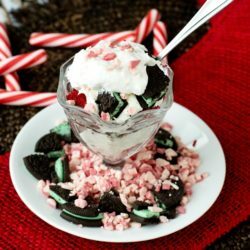 This festive, layered, holiday dessert will serve (and wow!) a crowd. 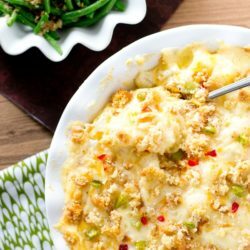 Diced green peppers and pimentos give these Christmas cheesy potatoes a festive look. They’re the perfect, comforting side dish to your holiday meal. 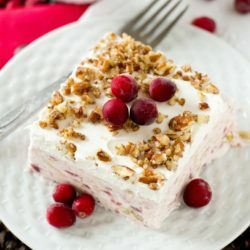 Serve this creamy frosted cranberry dessert for a light, refreshing dessert to family and friends this season. 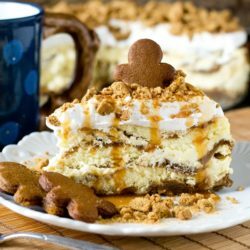 Spiced whipped topping, crushed gingersnaps and caramel top this decadent, holiday dessert. Love peppermint mocha coffee? 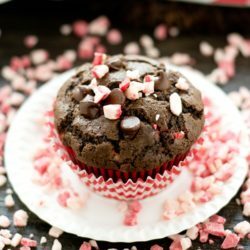 You’ll love these Peppermint Mocha Coffee Muffins that are double the chocolate and double the peppermint. Rich, moist muffins that are great with your morning cup of coffee. 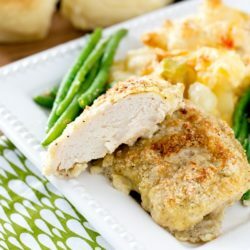 Paleo Baked Chicken is covered with savory spices and drizzled with butter. You’ll never know it’s good for you! 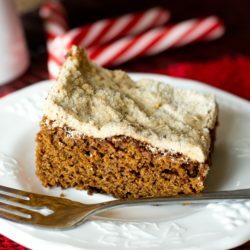 A warm piece of this simple Glorified Gingerbread Cake will be ready to eat in just an hour. 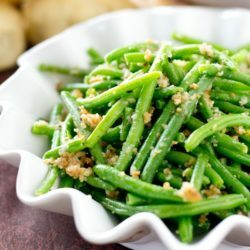 These Italian Green Beans are sauteed in butter, bread crumbs and Parmesan cheese. 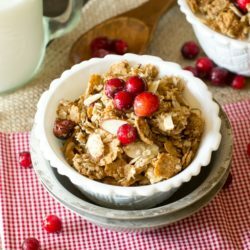 Serve in a bowl with milk or just eat it by the handful for an on-the-go breakfast. 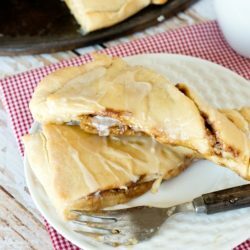 Sweet dough is filled with a brown sugar, cinnamon-nut spread and drizzled with maple glaze. 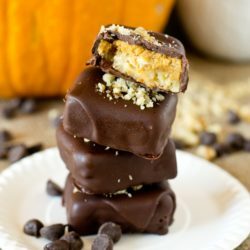 How about dipping pumpkin pie squares in chocolate chips to create these mouth-watering chocolate covered pumpkin pie bites? 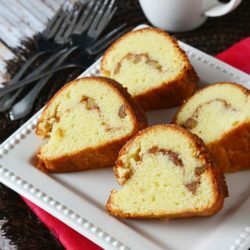 Sweet cream filling between layers of cinnamon infused coffee cake, all topped with a thick, vanilla glaze. 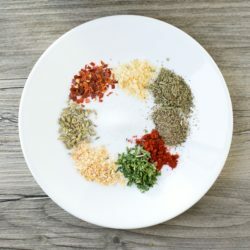 Add these savory spices to turkey, pork or beef and have delicious Italian sausage ready for pizzas, meatballs, or spaghetti. 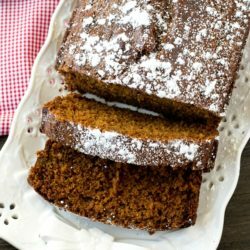 Soft, moist, molasses quick bread is perfectly seasoned with ginger and nutmeg. 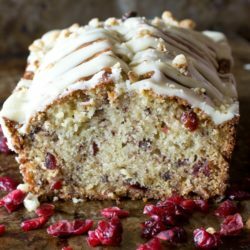 Gingerbread Loaf gives classic holiday flavor that you love!